Born in Plymouth, the full-back made the step up from Plymouth United as one of Argyle's first signings at the end of the Second World War, a time when the club looked to recruit local players to compete in the temporary Football League South. He made his first team debut in a memorable match - a remarkable 5-5 draw away at Southampton - and played a further 14 times that season, as well as playing regularly for the reserves. 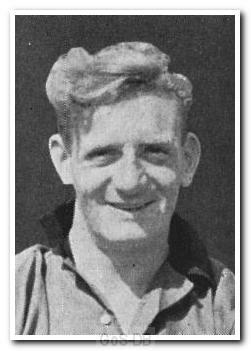 He went on to make his full Football League debut the following season in a 4-1 defeat at Chesterfield on New Year’s Day 1947, in what proved to be his only game at that level. After two seasons with the club, he was released and returned to local football with Plymouth United.